The 11th Auto Expo in New Delhi was all about gauging feedback from Indian consumers and catering to their demands. One trend which most carmakers have noticed is India’s appetite for SUVs. But not everyone wants a big, expensive SUV. 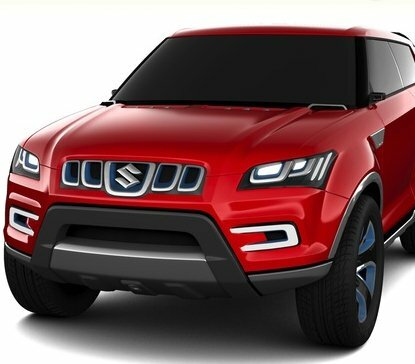 So, a new segment of SUVs is being unleashed in the Indian market – that of the compact SUV, with Ford, Maruti and Renault lining up their offerings. There’s a whole range of affordable compact SUVs coming into the market, with prices ranging from Rs. 7 lakh – Rs. 10 lakh. Ford, Maruti Suzuki, Renault and even home-grown Premier—all had mini SUVs on display—in different state of readiness: Premier Rio is already on sale in some cities. The Renault Duster will likely hit roads in May; Ford says production of the EcoSport will begin around June. The Maruti XA Alpha was more of a concept and will likely take 12-18 months before it reaches showrooms. What’s interesting is that each of these compact SUVs has a unique proposition to offer. The Renault Duster is the one that’s likely to really expand the compact SUV market in India. It’s built on the tank-like Logan chassis, making it a pretty solid vehicle. 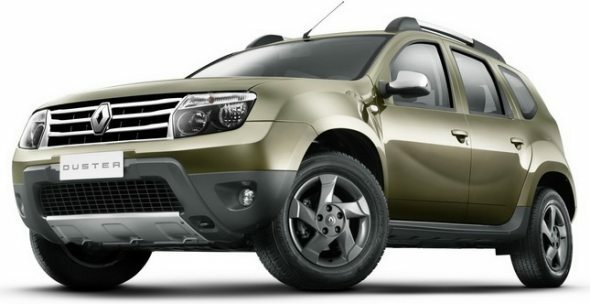 The Duster has proper SUV looks with front, rear and side body cladding, high ground clearance and large wheel arches. The high ground clearance and roof rails give a sporty look to this mini SUV. The rear of the Duster lacks visual appeal but is radically designed with small tail lamp cluster that doesn’t gel with the overall structure of the Duster. The Duster will come in three engine variants: a 1.6-litre petrol motor that puts out 105 bhp of power and 1.5-litre dCI motor with two states of power outputs: 85 bhp and 110 bhp. Renault is readying the interiors of the Duster and making couple of changes in order to make it more ergonomical and user friendly for the Indian buyers. The Duster will appeal to those looking for a compact urban SUV that can also do occasional off-road duty. Expect Renault to price the Duster in the Rs. 7 lakh – 10 lakh range. 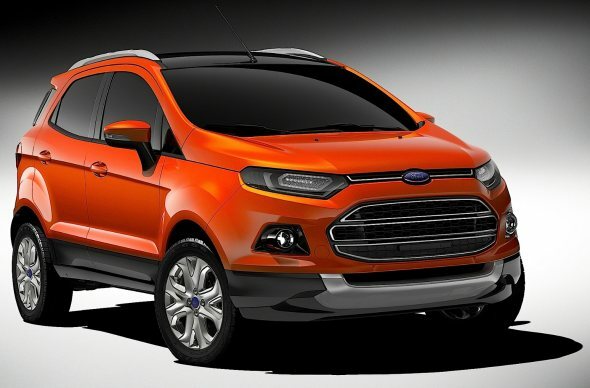 Ford has taken a different route with the EcoSport. It gets contemporary styling and will be loaded with cutting edge tech, including Ford’s frugal but powerful 1 liter EcoBoost engine that produces an impressive 118 bhp of power. The EcoSport is more of urban car with high ground clearance. It will attract buyers looking for the robustness of an SUV, with the practicality of a sedan or large hatchback. The interiors will likely be same as in the new Fiesta sedan. Expect good quality plastics, commendable fit and finish and spacious user space in the upcoming EcoSport. Being just about 4 meters in length should also allow it to qualify for small car excise duty concessions. Besides the 1-litre Ecoboost petrol engine, the EcoSport may also get the 1.5 litre 90 bhp diesel from the Fiesta. Price will be a key factor in determining the success of EcoSport. We expect Ford to price this mini SUV at a starting price of Rs. 6 lakh. 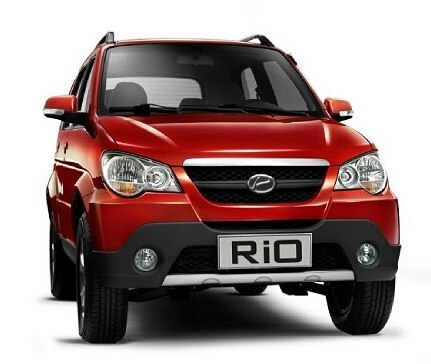 The Premier Rio is technically the first compact SUV launched in the Indian SUV market. The Rio is a no-nonsense car that has the tall stance of an SUV, but is a little short on space. Premier has given it fairly standard equipment such as electric mirrors, manual AC and a music system, as well as ABS, but no airbags. The Rio’s new 1.3 litre Fiat derived Multijet engine will now allow Premier to sell the Rio in metros too. This engine puts out 75 bhp of power. The interior of the facelift version is better with good quality plastics and decent levels of fit and finish. Seats are comfortable for average sized adults but tall passengers may find it difficult due to the lack of headroom and legroom at both front and the rear. The Rio is available only as a rear-wheel drive variant. Hence, off-road enthusiasts may refrain from choosing the Rio. It is currently the most affordable of the lot, with prices ranging between Rs. 4.9 lakh and Rs. 7 lakh. A strong indicator that compact SUVs are going to be significant for the Indian market is Maruti’s interest in the segment. It showcased the XA Alpha concept that’s somewhere between the Ford EcoSport and the Renault Duster—it has the traditional SUV lines but still manages to look quite modern—and handsome. The XA Alpha is design inspired by Indian wrestling. The angles and lines in the XA Alpha resemble the macho physique of a wrestler. The Lava Red color reflects its confidence while the compactness suits the crowded urban driving conditions. Maruti already has excellent engines to power a car of Alpha’s size—and we do expect at least one variant to carry a 1.3-litre diesel engine. The Alpha too measures less than 4 meters in length, and will allow Maruti to tap into excise benefits for small cars. Expect the production version of XA Alpha to cost in the region of Rs. 6 lakh – Rs. 9 lakh. Compact SUVs have advantages such as high ground clearance useful for tackling bad roads, bold road stance for confident driving, commanding road view for easier maneuverability and ‘go-anywhere’ readiness for adventure trips. The upcoming compact SUVs now offer consumers more choices across price bands, instead of the usual diet of premium hatchbacks and sedans. Of course, the launches are going to be spread across the year.